Healthcare professionals operate in a complex, shifting landscape with constant change and advances in technology, new standards of care, new business models, growing population and changing demographics, stringent regulations, challenging access to care, cost pressures, legal and ethical considerations, and constant demand for healthcare reform. Healthcare leadership in such an uncertain and complex environment puts added pressure on leaders in setting direction, creating alignment and gaining commitment among employees, partners and stakeholders as they seek to provide safe, high quality patient care. Healthcare leaders excel as committed, resourceful, straightforward and composed, fast learners who are willing to do whatever it takes to adapt their complex environment. Areas for leadership development include strengthening their ability to lead employees and work in teams, creating a culture of collaboration, dealing more effectively with problem employees and to do so they must broaden their functional areas of expertise and become more self-aware of their ability to build and improve relationships and lead teams. 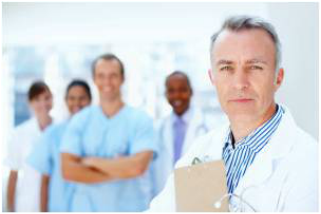 At Executive Passage, we develop results-based solutions specifically designed to meet the challenges of leaders in healthcare.